← Don’t read this post – at least not today! 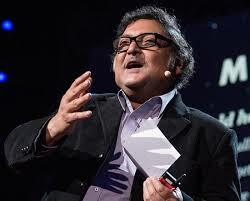 Last month, I was reminded of the incredible power of affirmation to turbo-charge performance by Sugata Mitra, who was speaking at the ATD International Conference. You may have heard of Mitra as the “Hole in the Wall” professor from India. While Mitra’s research focuses on children and how they learn, I think his findings have relevance for how adults learn and perform in the workplace. If you haven’t heard of Dr. Mitra, I’d encourage you to listen to his TED talk. Through his research, he has discovered that groups of unsupervised children can learn just about anything if they have access to the internet. After winning the million dollar TED Prize in 2013, Mitra was able to fund and create five self organized learning environments (SOLE) in England and India to further test his theories about education and literacy. In my experience, I’ve found that adults behave similarly in the workplace. We react well to encouragement and often exceed performance targets when encouraged. While I know I am an internally motivated person, I have often worked harder for a boss who is appreciative and encouraging. And I can honestly say that the teams I’ve led do better when I am actively engaged, interested in their work, and providing positive affirmation. Does this ring true for you? What has been your experience with positive affirmation and performance? This entry was posted in building teams, communication, Developing Capacity, leading authentically, Motivation, organizational culture and tagged affirmation, productivity, Sugata Mitra. Bookmark the permalink.